Today, KauaiLabs announces the third-generation Open Source navX-Micro Robotics Navigation Sensor, designed for use with the Android-Based FIRST Technology Challenge (FTC) Robotics as well as the FIRST Robotics Challenge (FRC) Control Systems. navX-Micro is based on the same core technology within the navX-MXP sensor now in use by hundreds of FIRST Robotics Challenge (FRC) teams. navX-Micro features a 32-bit ARM processor, the Invensense MPU-9250 sensor system-on-chip, and software algorithms which include enhanced sensor calibration, data fusion combining gyro, accelerometer and magnetometer data into a “9-axis heading”, and high-quality magnetometer calibration including magnetic disturbance detection. In addition to being an Inertial Measurement Unit, navX-Micro capabilities are referred to within the aerospace industry as an “Attitude/Heading Reference System” (AHRS). 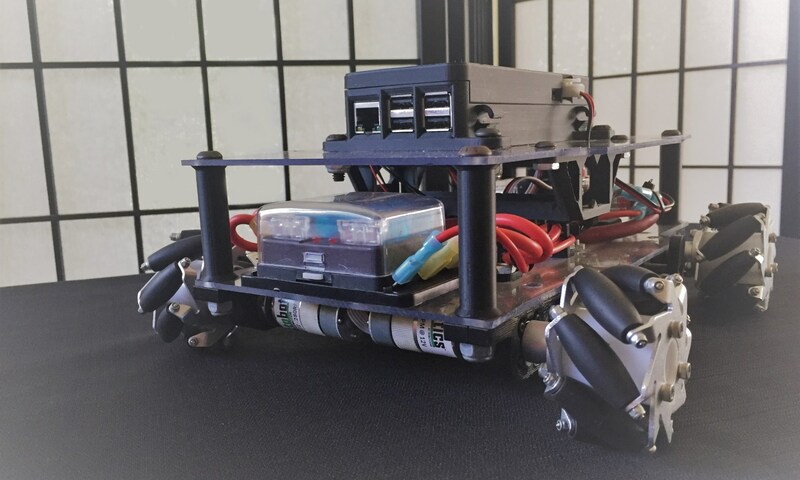 Kauailabs brings this high-tech AHRS capability to FIRST FTC and FRC teams – to use, learn and explore. navX-Micro is a key component of Kauailabs’ ongoing efforts to make state-of-the-art navigation technologies used in drones and autonomous vehicles (e.g., the Google Car) available to robotics students and enthusiasts as low-cost, open-source products. navX-Micro is available for purchase online now for $79. The navX-Micro FTC library is also compatible with the navX-MXP sensor for those teams wishing to get started immediately. Open Source schematics, firmware source code, FTC library source code and example code is available online. For those desiring an enclosure, a 3D-printable enclosure is also available for those wishing to create their own, or can be purchased separately online. More details are available at navX-Micro Online.